According to the news website ‘ThinkProgress’, currently Americans are twice as likely to be employed in the solar energy industry as in the coal industry. Over 51,000 people in the United States were hired to design, manufacture, sell or install solar panels last year. This industry data is 17 times faster than the economy as a whole. 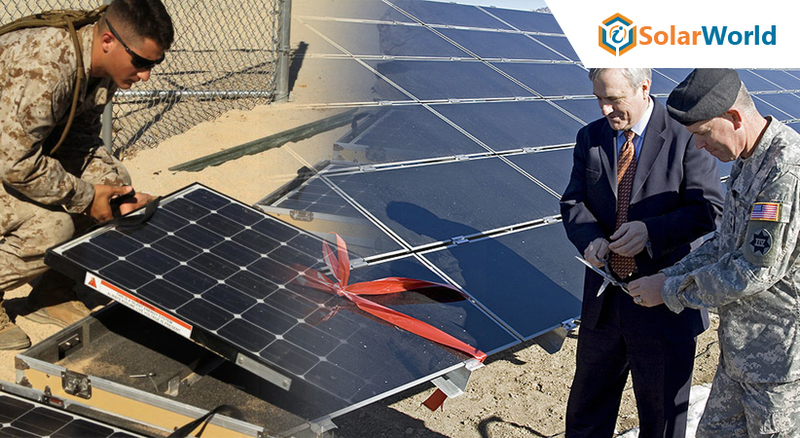 Following this immense growth of solar energy sector in the country, US army has also moved towards solar energy. According to a U.S. Army study published in 2010, ‘Sustain the Mission Project: Casualty Factors for Fuel and Water Resupply Convoys’, casualty impacts related to using alternative energy and water technologies to sustain Army missions should be evaluated in Army combat and combat support models over a wide range of theatres and scenarios to better reflect the complex conditions and actions at the tactical and theatre levels. Of course petroleum energy will continue to be a necessity, but not the primary source of power. New and advanced technology in solar sector, are changing the fuel dynamics for Americans, overseas as well as at home. These technologies are developed to save young soldiers’ lives while protecting environment are certain to boost US economy also. To mark the start of a major renewable energy project at Fort Huachuca, Arizona, United States General Services Administration (GSA) and the U.S. Army have joined hands. This 155-acre project is considered as the largest solar installation of Department of Defense and playing a significant role to make US army move towards solar-friendly atmosphere. Between 2011 and 2015, the number of military renewable energy projects nearly tripled to 1,390, according to a ‘Reuters’ analysis of Department of Defense data. This move of US army towards solar or renewable energy is not a sudden change. a company of U.S. Marine near Khyber Pass in Afghanistan were the first ones to take portable solar panels and solar tent shields into a battle zone. Former US Secretary of Navy, Ray Mabus also stressed on the use of renewable energy in the US army during his tenure. He believed that by 2020, around 50 percent of the power used by the Navy and Marines will come from renewable energy sources. Center for Army Lessons Learned came up with a data, which says that about 10%-12% of total army casualties majorly related to fuel and water transport. This is clearly a smaller fuel footprint in terms of resupply means fewer and smaller. Experts believe that by choosing solar energy, army will put an end to such mass casualties. For more solar info, stay connected with us by subscribing to our newsletter.